In this new series of articles, I will be listing best practices for the main Salesforce standard objects. Standard objects come with a predefined number of features you can leverage to build scalable Salesforce processes. You might wonder what you need the Lead object for if you are going to convert Leads into Accounts, Contacts and Opportunities anyway. Would it not be easier for you and your team to work with Accounts from the start? While the above question is valid, the Lead object is there for a reason: hosting your list of unqualified prospects and separating them from qualified prospects that represent a real sales opportunity. 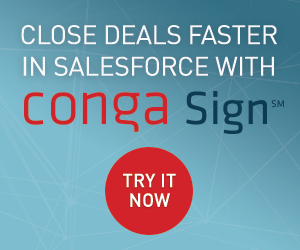 You might think you will end up converting all the leads in Salesforce because you want to close them all, but the reality is that you will not, at least not at the first attempt. Your sales forecasting can only be accurate if you only take into account real sales opportunities. Using the Lead object is also positive for storage: a lead is saved in one record of your org, whereas, if you convert it into an account, you transform the initial record into three different ones: Account, Opportunity and Contact. There will be leads that you will never convert into accounts and by keeping them into the Lead object, you are using the minimum space required to keep those unqualified prospects in Salesforce. If you have a Website you definitely want to set up a visible way for potential customers to contact you if they are interested in your products or services. While displaying a contact email somewhere on your website is a valid option to manage inbound leads, on a web form you can set the minimum information required and send it straight to Salesforce. 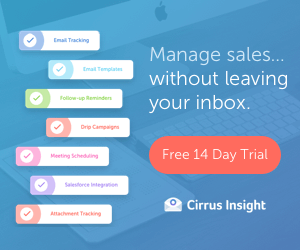 You can even use the information entered in the form to assign the Lead to the right sales agent so that a response is sent as quickly as possible. In inbound speed is key and Web-to-Lead can help you decrease response times. 3. Avoid duplicates from the start! Giving each lead a rating is vital if you want your sales agents to know which leads they should contact first. Helping your sales team prioritise their leads will keep your sales operations efficient. Although you can manually assign a rating to each lead, the best is finding an automatic solution. E.g. defining a number of criteria to be saved in different Lead fields and automatically calculating the lead rating from the information entered in those fields. Another option, if you are using Pardot or Marketing Cloud, is setting up an automatic rating system based on the actions taken by the lead on your website. When a lead is not interested in your business or, for some reason, you are not interested in a specific lead to become your customer, you should save that information in salesforce. It is also important to come up with a list of reasons to be selected when a lead is tagged as disqualified or lost, so that you can report on it later. Understanding why customers are saying “no” to our business is key to identify potential improvements in your business. Tagging lost or disqualified leads is also useful because you can nurture those that are not ready to buy your products or services yet. Pardot and Marketing Cloud are the right tools for it. During the lead qualification process, you will have gathered some information about the prospect, but not all of it. I advise you to restrain from creating a very long list of fields in the Lead object, just in case they need to be used. Instead, train your sales agents to be efficient and focus on gathering just the information required for each step of the sales process. The most important thing is to keep pushing prospects through the sales funnel. Once the lead is qualified it will be converted and they will be able to add much more information from the prospect. As important as keeping the Lead simple is ensuring enough information about it has been provided before the lead is converted into an account. A validation rule is useful before conversion because it will ensure that the necessary information to continue negotiating with the qualified prospect has been entered in Salesforce. 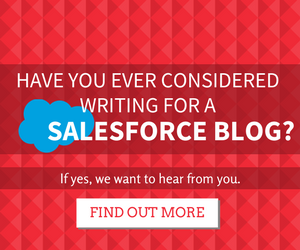 By making the most of standard objects, you can create very efficient Salesforce process. A rule of thumb is always using Salesforce standard functionalities before building custom solutions. This means that if the process you want to build in Salesforce can be done with Standard features, you will use them to do so. Standard features might not be sufficient to build a specific process you need for your business and in that case you should, of course, resort to custom solutions. Any of you use LINKPOINT to capture emails into SF? Great little article, what always surprises me is that you find orgs that DON’T follow these basics. Had an org recently with 96 fields on the lead and 7 on the Opp. Or the marketing team who built a web form that simply “emailed” the head of sales even though they already had 3 other forms with Web 2 Lead functionality…it was easier apparently. How do we cope with multiple leads for the same company? Sales person doesn’t want to add the address and other fields repeatedly on each. How do you then convert all at the same time? I’m unclear on #5, Ben… are you saying Delete or Don’t Delete? Hi Ben and all, we’re having a challenge at my organization because we have account creation permissions turned off for our users in order to help with data cleanliness. But that also means our users can’t convert leads because account creation permissions are required. Any best practices/workarounds anyone knows of?